Shinafu” is a fabric woven with fibers come from bark of Shinanoki (Tilia japonica). 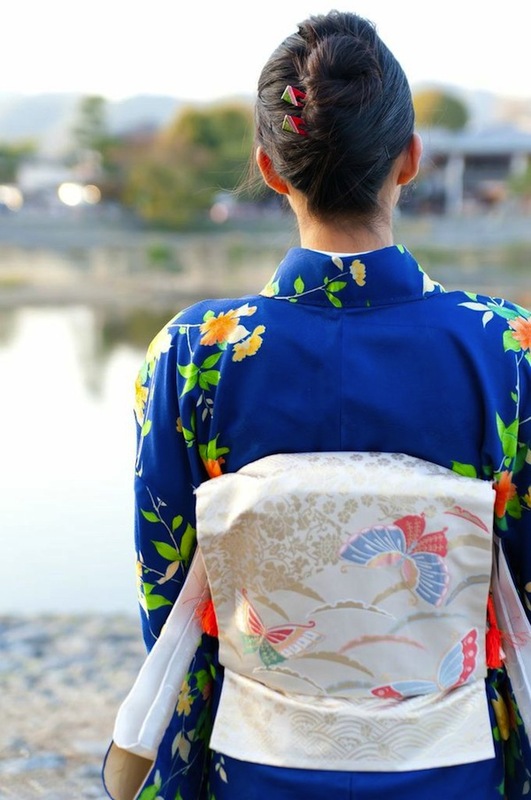 Its derivation is unknown, but it is considered as one of the oldest fabric in Japan. 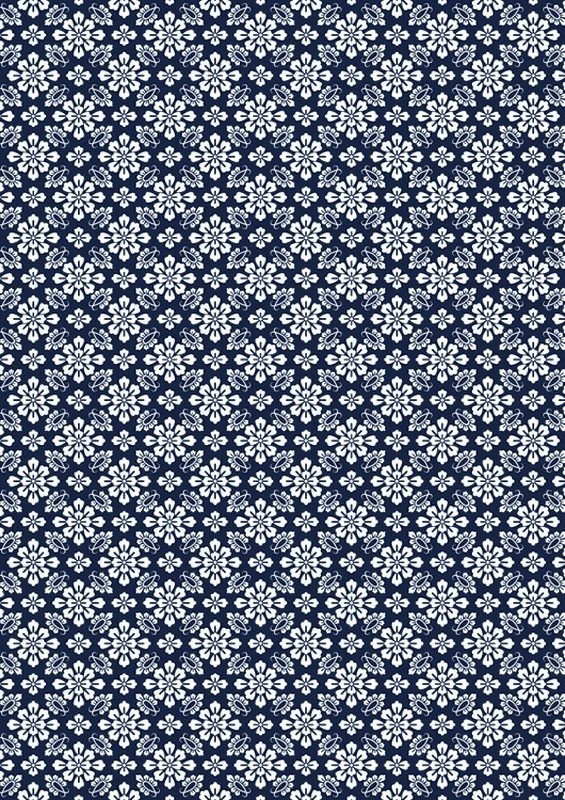 There is actually a record indicating that this fabric was paid as tax in Heian era. Shinafu is durable and waterproof and thus, even after cotton became popular for clothing, Shinafu has been widely used for practical items such as bags to preserve grain or to strain alcohol. In Showa Period, chemical fabric which could be produced massively was introduced, and shinafu which was difficult to make rapidly decreased, but its wild particular style has been loved and living as basis for fashion accessories such as obi, hats and bags. Once upon a time, it was woven in various places of Japan, but they keep producing it mainly in an area of Yamagata Prefecture and another of Niigata Prefecture these days, too. Shinafu in these regions is registered as a Japanese traditional manufacturing product in the name of uetsushinafu, and groups of producers of it are putting in an effort like trying to maintain techniques to make it and obtain ingredients for it. Shifu is made by weaving paper yarn just like weaving thread. When papers are used for both tate-ito and yoko-ito, it is called “Moro-Shifu”. When silk yarn is used for one of them, it is called “Kinu-Shifu”, and it is called “Men-Shifu” when cotton yarn is used for one of them. Papers are first made into thread. So you don’t feel that stiffness of papers, and it is actually light and strong. Shifu began to be produced in the Edo period. Initially, they was made using papers that were out of use. Later, dedicated papers began to be produced while improvements were made. Shiroishi City of Miyagi Prefecture is well-known as a production area. Originally, production of Japanese papers was prosperous in this area. On the other hand, it is believed it may be because cotton and silk were valuable in there. In the Edo period, the Date domain, who was governing this area, encouraged production of shifu. And they became known as they began to be used as offerings. Now, shifu are highly valuable as the number of producers has decreased, but they are still widely distributed as popular materials. Though not many, they are produced as tanmono (roll of clothes). They are light and easy to fasten, so they are often used as obi fabrics. Luxury kimono sometimes has gold ornaments. In many cases, detailed parts are painted with gold, and broad parts are covered with gold leaf. To put gold leaf on kimono is called gilding. Other than gold leaf, silver leaf and platinum leaf are used. Guilding has various techniques, whose common skill is called “surihaku”, impressing of gold foil.” It is a method to apply gold foil with some glue and dry it to remove unnecessary parts, and one of the most gorgeous finish can be expected. Gold and silver leaf are metals, but they are so thin and glued tight so that it makes it harder to remove. However, it may be removed, and in such cases, a thin paper can be put on the gold leaf to prevent it to stick to the opposite side when the frabric is folded. 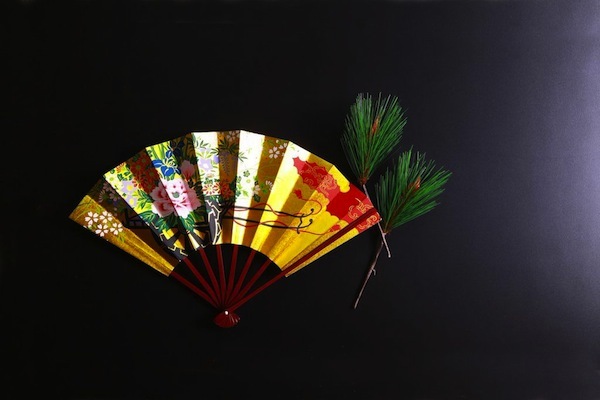 In addition, slightly old kimono may have low-quality leaf and glue, so in case you purchase recycled items, it is good to check the change of color and to make sure the gold leaf is remained. Kariyasu-zome is a yellow dyed material which is colored using plants called kariyasu. It has a long history. There was a word “kariyasu-iro” in the “Shosoin Monjo” which is a part of materials from the Nara period. Also, there is a description of how to do kariyasu-zome in the material, “Engi-Shiki”, that is believed to have been made in the middle of the Heian Period. Based on these materials, we can say that kariyasu was already widely used in the dyeing agent for clothing of common people in those periods. Kariyasu looks like susuki (Japanese pampas grass), just a little smaller than susuki. It was a plant that grew on its own all over Japan, so this isn’t considered as a specialty of a specific place. However, it is said that the plant from Shiga is particularly good in quality. Its yellow pigment is produced when kariyasu tries to protect itself from the UV light of the sun. So it is believed that beautiful yellow is produced when they use kariyasu which is mowed down at the end of August. Kariyasu has been used to make green by layering with ai-iro. The grass which dyes Kihachijo (yellow silk fabric), a specialty of Hachijo-Jima Island, is locally called kariyasu. But this is another type of plant called Kobuna-gusa. Aizome is a blue color dye. It uses the leaves of Persicaria tinctoria which is in the buckwheat family, so called Chinese indigo. It’s produced all over Japan, while especially famous production area is Tokushima prefecture. There are two kinds of dyeing methods; “Namabazome” (Primary leaf dyeing using the freshly-harvested leaves) and “Tatezome” (Fermented leaf dyeing). The fermented leaves used for Tatezome are called “Sukumo” and indigo color is generated in the process of fermentation. Regarding Namabazome, fresh leaves are required and it can dye silk but neither cotton nor linen. So, “Aizome” generally means Tatezome. However, Namabazome is popular among the common people to dye a small amount because it does not require special tools or technique and makes a brilliant blue color. “Aiiro (Indigo color)” means the deep blue color and it needs dyeing by Tatezome method for certain times to make such color. If it has been dyed only for a few times, the color will be pale and called “Kamenozoki (looking into a pot)” or “Mizuiro (Aqua color)”. Shikonzome is dyeing in purple, and the root of Lithospermum erythrorhizon is used for dyeing. A representative area of production is the southland of Iwate Prefecture. It is said that the time when Shikonzome was introduced is prior to the Kamakura period. Though produced a lot in the Edo period, Shikonzome went into a decline in the Meiji period because the chemical dyeing prevailed. After that, Iwate Prefecture played a leading role in promoting the researches to revitalize Shikonzome. 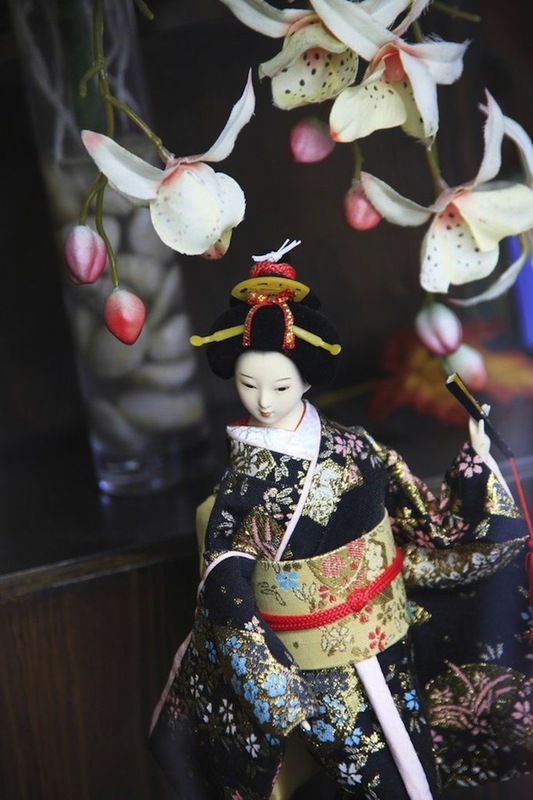 Therefore, it became known in Tokyo and popular again as the traditional craftwork of Iwate Prefecture. An author from Iwate prefecture named Kenji Miyasawa penned a book based on the period of time when bluish purple dyeing was all the rage called “About Bluish Purple Dyeing”. The pigment of Gromwell root loses its effectiveness as a dyeing agent as time passes, so it is necessary to perform the staining of fabrics quickly. In order to get deep shades of violet using this root it is necessary to dye a great number of times. In Japan violet has been a precious color from ancient times because it takes a great deal of hard work and time to dye materials violet. During the era discussed in this book wearing violet clothes was a symbol of social status. Dyeing with Gromwell roots requires a prior dyeing of thread before cloth is woven. It is was also common to make tie-dye through these dyeing techniques. Safflower is the typical raw material for red dye. The cloth that has been dyed with safflower is called safflower dyeing, and it has become a specialty of Yamagata Prefecture. Safflower is not only used as dye, but also as a material to extract edible oil and as herb. It is a familiar plant in Japan. It looks orange rather than red if you look at the flowers of safflower, but it will be safflower dyeing through a complicated process in which a yellow pigment is eliminated from Safflower in water, and a red pigment is extracted from the remnant using alkaline lye. The cloth that is dyed using a yellow pigment extracted first is called “yellow-dyeing” of safflower. In fact, most of pigments of safflower are yellow and it is said that it was yellow-dyeing that people had used. The cloth that is dyed using a red pigment is a thing for people in a high position. It is said that the cloth with dark red dyed repeatedly many times is more valuable. As well as other dyeing with vegetables, it has been replaced by the chemical dye since the Meiji era, but it was resurrected as traditional crafts in recent years and small goods such as handkerchiefs and scarves with reasonable price are popular as souvenirs. Bingata is the representative dyeing technique of Okinawa. You can image of “Red stencil dyeing” from the name, but “Bin” means “color” and “gata” means “pattern”. In other words, Bingata was named after the pattern that a variety of colors are used. It is said to be in Meiji Era when the technique was called “Bingata”, and in Taisho Era when the Chinese character “紅型” was applied for the name. On the contrast, it was 14th century when the Bingata was manufactured, and seemed that in 1700s the technique was established whose standard was almost the same as today Putting the blueprint on the material, apply dye-resistant adhesive on the non-coloured part . Then, fill the colour from the order of lightest to darkest by shading it in the way of “Kumadori” (Kabuki makeup fashion). By shading it, it will produce Bingata’s unique tone of colours. Besides Okinawa region, due to the difference in weather and culture, the choice of pattern and dye vary. As the interaction with other region increases, it was slightly influence by Tomozen dye but its unique expression still remains till now. 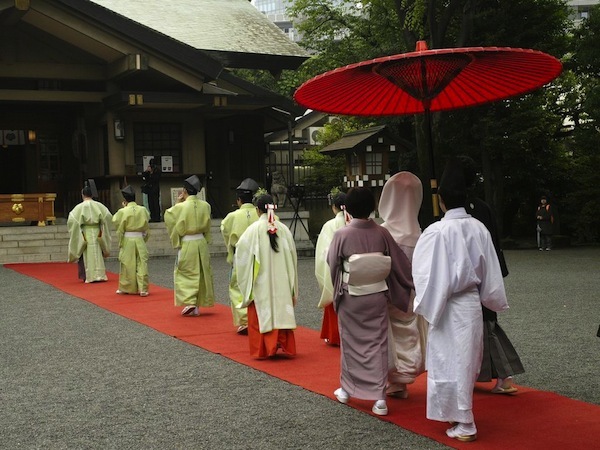 Chusen is a way of coloring cloth and it was born at the end of Meiji Period. The most popular place to make products in the way is Hamamatsu, Shizuoka Prefecture. It’s a method commonly used to make hand towels and yukata ( a kind of kimono ) these days. We put a paper of about 1 meter for a design on a cloth for a basis and anti-coloring paste on a part of the cloth not for being colored. After we’ve finished doing the work, we fold the cloth up to match to the next edge of 1 meter and put the paper for the design on the cloth and the paste on a part not for coloring again. We do it a few times and turn 24 pieces of the cloth into 48 pieces of it piled up. And then, we make borders to separate them by their colors on top from the paste. When we pour coloring material into the borders and withdraw it from under the cloth by pumps, the same patterns are made in every one of the cloth pieces. When they’ve been colored, we wash the paste and unnecessary coloring material away and it’s completed. We color cloth this way, so Chusen is colored on the front and back in the same way and looks as if edges of it were combined in a part to be folded up. Hand towels of the style don’t look that way much because they’ve been made by being cut where they were folded up, but yukatas of the style look that way if you look at them closely. There are some people who get worried if they’re not good products, but this is a characteristic of Chusen, so please don’t worry. 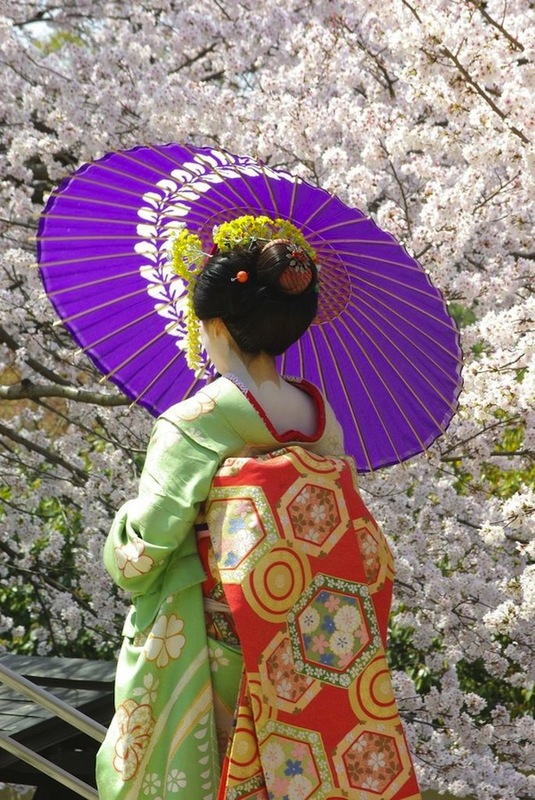 Yusokumonyo is the general term of pattern used by noble men in Heian era. 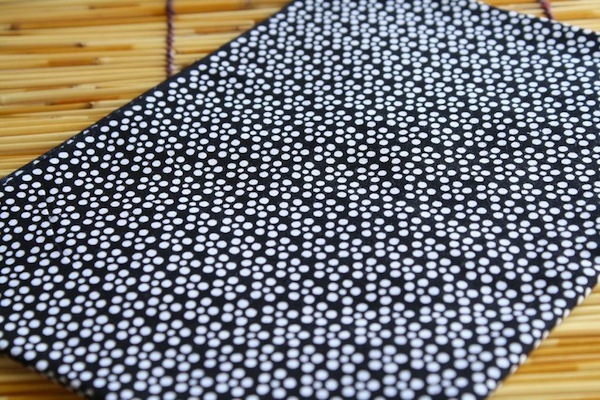 As traditional and sophisticated pattern, this pattern is widely used in Kimono and obi. Many of them are showing up geometrical pattern repeatedly and neatly. It is convenient for you to use this all year round because of no sense of season. 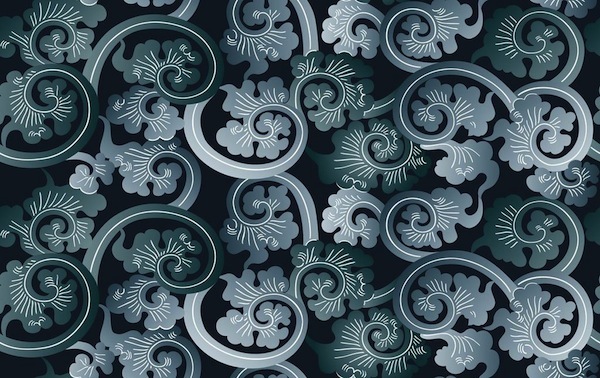 The pattern is originated from arranging the pattern spreaded from China and has various variation. The kind is so many that It is difficult for me to point out the things which pattern is Yusokumonyo concretely. But I will show you some representative things. Arranging the wavy lines side by side, the pattern crest and trough continues alternately Tatewaku ni hana” (flowers in the flow) refers to the patter which has flowers drawn on the crest part. The pattern of identical circles overlapping a quarter of the circumference of each other. The illustration of cross-pattern flower surrounded by wisteria flowers. LINE stamps start selling on April 25.